Her Majesty Queen Elizabeth II has sent her second ever tweet. She used the official twitter account of the British Royal Family to send a tweet thanking the public for all the digital messages and well wishes she has received for her 90th birthday. There was then a message confirming that this tweet was in fact sent by Her Majesty. Call me crazy, but I’ll trust it’s from her if it’s signed “Elizabeth R.” that’s not a signature, electronic or not, that I think many would be likely to add to a tweet from that account that she isn’t going to personally hit the “tweet” button on. and just in case her signature on the tweet an the second confirmation tweet were not enough to set your mind at ease and add a smile to your face, a photo of Her Majesty sending the tweet of thanks on an iPad was quickly released. 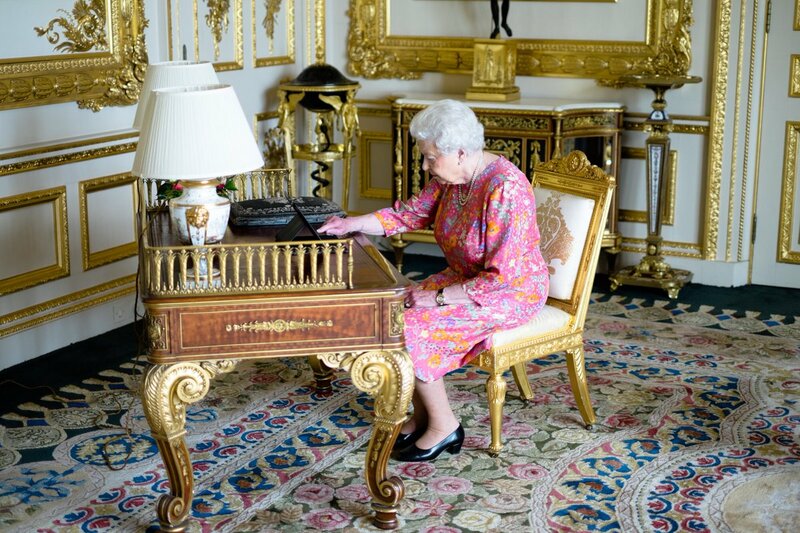 The Queen is seen sitting at her desk working on an iPad. She is wearing a brightly colored orange and pink dress and wearing her signature pearls and her classic black heels.